The Weekly Photo Challenge theme this week is “Carefree”. One word means carefree for me—Summer. And summer means “water”. 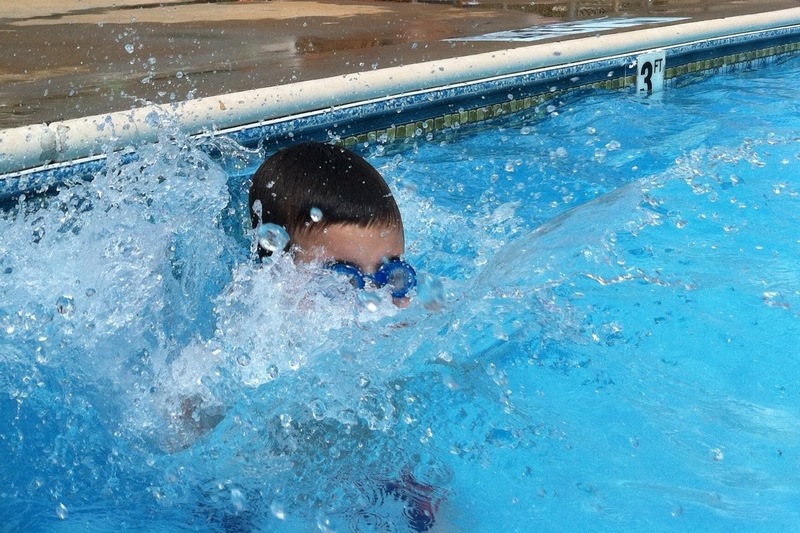 Free from the stiff structure of school schedules, water brings out the brave in me. Water has dominated my summers as far back as I can remember. And I’ve done just about every trick imaginable in the water. My uncle plunked water skis on all us cousins at a very young age. He would shove them down in a sandbar and take off. It was drenching at first but in time we learned to skim the choppy waters, dodging large chunks of driftwood which made the ride even more wild. There was never a Do you want to learn this? With unbridled voracity, we bolted to the boat the day our name was called. In my family, this was a rite of passage. Now this little guy is my swimming buddy. He’s getting braver and more adventurous. What’s more carefree than a beautiful summer day and a pool filled with shimmering water to frolic in? For him and me—NOTHING! Thanks! I do, too. That’s why I put it in first place. Nice of you to stop by and comment. Excellent! Pretty sure I’ve never looked this carefree in any body of water except my bathtub :). Amazing post! Thanks so much for this! Your welcome! Thanks for stopping by and taking time to comment. Thank you. Nice of you to drop by! All these shots are pretty nice, but the first one is my favorite. Totally captured the theme this week. And I love this quote.